With Christmas falling on Friday this year, the Sunday before Christmas really feels like a separate Sunday of Advent rather than a run-up to Christmas Eve and Day. Though most schools will be out for the Christmas holiday, many families will still be in town and very much in the “let’s get ready” mode rather than the “almost there” mode. Many churches will worship around a cantata or pageant. If you do follow the lectionary texts, it a good day to explore the annunciation story and the Magnificat. (To hyped children Christmas feels at least nine months away.) 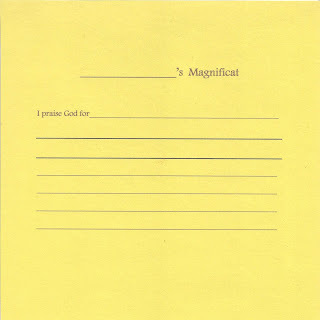 Do remember to introduce the words “annunciation” and “Magnificat” before they are used in the service. 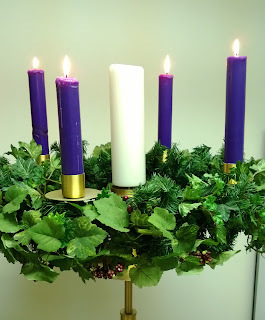 Statement for lighting the candles: God, today we light all four candles of Advent. We light one for …. We light the second for…. We light the third for… And today we light the fourth to remind ourselves to watch for your light in surprising places every day of our lives. Be with us and help us join you at work in this world. At the end of the service an acolyte lights a candle from the fourth candle in the wreath and carries it out the central aisle as a worship leader says: As you go out into the world this week before Christmas, rejoice in the Lord for God has done and is doing marvelous things! Remember that God works with people like Mary and Elizabeth and us to do these marvelous things. Go in peace, because just as God was with Mary and Elizabeth, God is with each of us today and every day. If you are using the crèche to rehearse the nativity story in the sanctuary, bring Mary (or Mary and Joseph) to the manger. Tell the stories of God’s call to each of them, what worried each about doing what God asked, and what they did. OR, lift the Mary figure from the crèche and set it in a prominent place on the pulpit or table while you worship around her story then return her to the crèche near the end of the service. The latter can be an opportunity to invite children and all worshipers to Christmas Eve worship when you will add the baby to the manger. 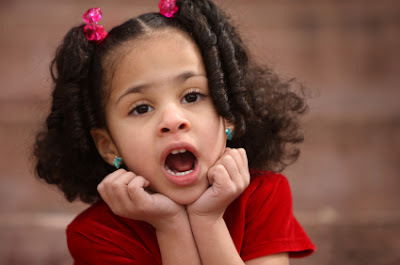 **** Excitement and expectation will be at a fever pitch among the children. So, no matter what else you plan for children, let them know that the church knows that by remembering in the congregation’s prayers all the excitement about upcoming visits with friends and relatives and the hopes for presents. Also pray for help dealing with selfishness and tired crabbiness that can get in the way of all the fun this week. **** Point to Bethlehem on a map. Describe it as a very small town. Compare it to a small town in your area. Then, especially if you preached on it during the summer, recall King David. Briefly retell the story of Samuel going at God’s direction to little no-place Bethlehem to find the next king and then going through 7 big brothers before calling in the baby brother who had been left tending the sheep and anointing him king. Then with a laugh say, “Guess what? It happened again.” Describe how Mary and Joseph end up not just in Bethlehem, but in a barn in Bethlehem on a forced trip to pay hated taxes. The point is that God shows up in some surprising places – even in Bethlehem. So, we should expect to find God at work in surprising places today too. God even shows up at school, at your house, while you are on a holiday trip….. Thank God for being with us and challenge worshipers to watch for God at work all around them. **** Especially if you live in a small town or rural area, light the fourth candle of the Advent wreath for God who shows up in surprising out of the way places. Statement to read while lighting the candle: God, we light this fourth candle of the Advent wreath thinking about little Bethlehem where Jesus was born. Be with us as we work and play every day. Help us see you at work all around us and show us how we can work with you. At the end of the service an acolyte lights a candle from the fourth candle in the wreath and carries out the central aisle as a worship leader says: No matter who you are or where you will be this week, remember that God sees you. God loves you. 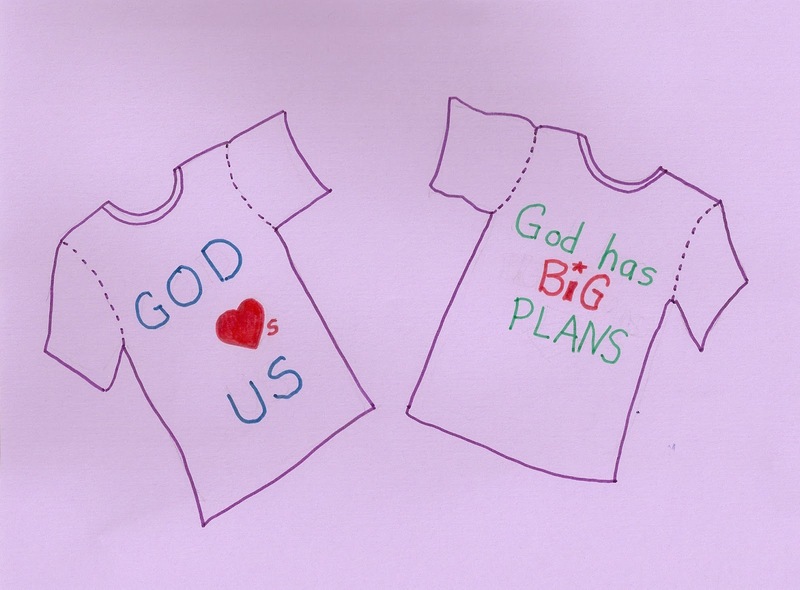 God has big plans for you. So, go in peace. Sing a carol about Bethlehem that children can sing easily. **** “Infant Holy, Infant Lowly” is full of simple concrete language describing the way God “the Lord of all” appeared in Bethlehem. **** The words of “O Little Town of Bethlehem” are harder for children. If you walk through the first verse pointing out what different phrases are saying about Bethlehem and pointing to the last line’s insistence that in quiet, little, Bethlehem, everything people had hoped for and dreamed of came true when Jesus was born, children will be encouraged to sing along and will catch the meaning of some of the other phrases as they sing. **** Though the word “Bethlehem” does not appear in “Once in Royal David’s City,” the song is all about what happened in that quiet, normal spot. The language is totally young reader friendly. In many congregations with children’s choirs, it is the children’s job to sing at least the first verse of this carol each year. In some churches the whole choir sings. In others a smaller group is chosen. In such choirs, the children consider it a great honor to be chosen to sing this. Such traditions help children learn a story-telling carol and tie them to the congregation in which they sing it. On the Sunday before Christmas, this psalm requires more explaining that anyone will listen to and offers little to hyped up holiday children. **** On the Sunday before Christmas children will respond much more readily to Mary’s story and song than to this theological statement about what the baby Jesus did as a man on the cross. If you do have to explore this text with children focus on verse 10. Before reading it display and discuss two pictures one of Jesus’ birth and the other of Jesus on the cross. 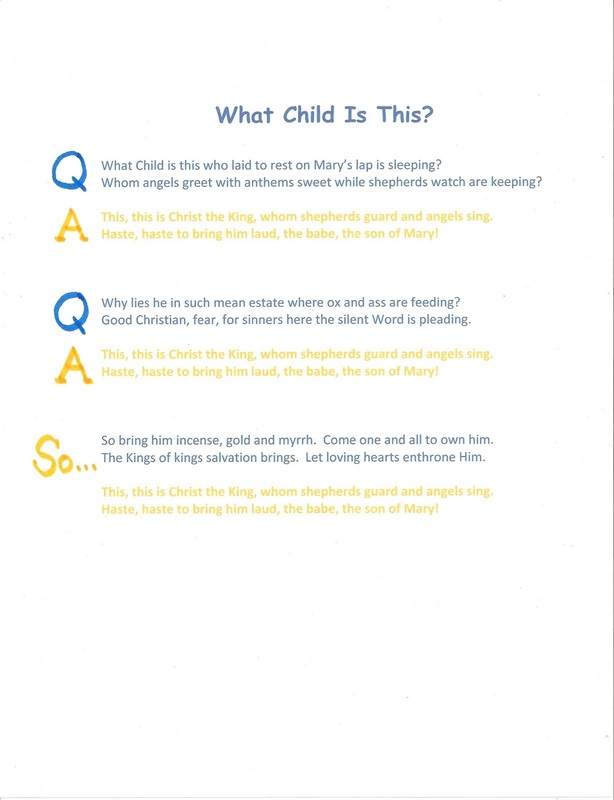 For the youngest children it simply connects the stories of the baby in the manger with the man on the cross. Older children gather that the reason we celebrate the baby is what he did on the cross. The gospel for the Fourth Sunday of Advent in both Years B and C is the Annunciation and the Magnificat. (In Year A the gospel is Matthew’s story about the angel visiting Joseph.) Many of the suggestions below appear in both Years A and B. 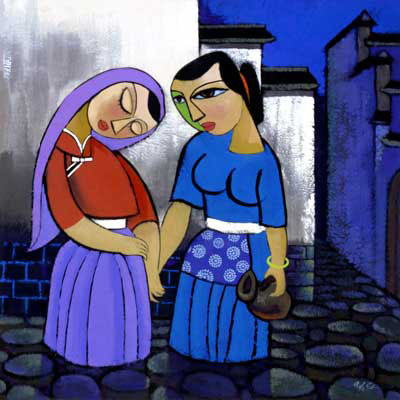 **** The reading includes Mary and Elizabeth’s visit and Mary’s song. Add the story of the annunciation to make introductions unnecessary and to set the stage for the meeting and song. Bring the whole story to life by having it all read by a narrator (probably the liturgist), Gabriel (a man), Mary (an older teenage girl), and Elizabeth (an older woman). The Narrator reads from the lectern. Mary and Elizabeth step forward from the congregation at the appropriate times. Gabriel stands in the front – maybe the choir loft? All read from scripts held in folders. Gabriel (standing near the rear of the chancel): Greetings, favored one! The Lord is with you. Mary: How can this be, since I am a virgin? Gabriel: The Holy Spirit will come upon you, and the power of the Most High will overshadow you; therefore the child to be born will be holy; he will be called Son of God. And now, your relative Elizabeth in her old age has also conceived a son; and this is the sixth month for her who was said to be barren. For nothing will be impossible with God. Mary: Here am I, the servant of the Lord; let it be with me according to your word. Elizabeth (Elizabeth reaches out to touch Mary as she speaks): Blessed are you among women, and blessed is the fruit of your womb. And why has this happened to me, that the mother of my Lord comes to me? For as soon as I heard the sound of your greeting, the child in my womb leaped for joy. And blessed is she who believed that there would be a fulfillment of what was spoken to her by the Lord. Narrator: And Mary remained with her about three months and then returned to her home. (Mary and Elizabeth return to their seats in the congregation.) This is the Word of the Lord! To help the Mary reader get into the mood of the song, tell her about a picture of Mary with her hair in braids, wearing a t shirt, rolled up jeans and high-top tennis shoes. (The photo collage I saw is copyrighted, but you easily can imagine it.) Practice with the reader to get the feisty reading the song implies. **** If a crèche is displayed in the sanctuary, bring the Mary figure to the lectern before reading this story and the Magnificat. Leave it there for the rest of the service. Or, have the reader return it to the crèche after reading. **** The challenge with children is to help them see Mary less as a passive, gentle, agreeable person and more as a prophet who saw God at work in her world and was willing to take big risks to be part of the action. 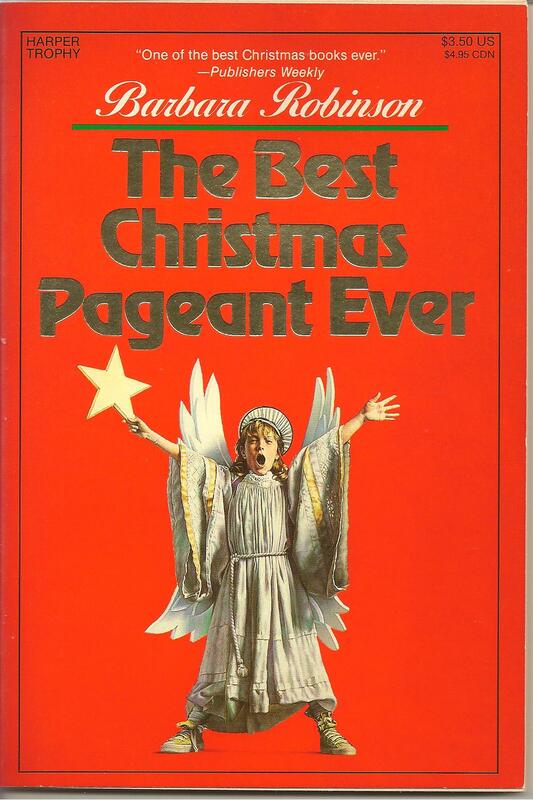 Sweet Christmas cards and years of children’s pageants make this a very real challenge. Little girls are especially prone to over-sweeten Mary. They need to hear stories of fights over who gets to be Mary in pageants embedded in thoughtful comments about what Mary might really have been like. The story and the Magnificat insist that she was a strong, brave, active young woman who was aware of the realities of her world. That’s a good role model for today’s children, especially today’s girls. Since none of the Herdmans had ever gone to church or Sunday school or read the Bible or anything, they didn’t know how things were supposed to be. Imogene, for instance didn’t know that Mary was supposed to be acted out in one certain way - sort of quiet and dreamy and out of this world. The way Imogene did it, Mary was a lot like Mrs. Santoro at the Pizza Parlor. Mrs. Santoro is a big fat lady with a little skinny husband and nine children and she yells and hollers and hugs her kids and slaps them around. That’s how Imogene’s Mary was – loud and bossy. “Get away from the baby!” she yelled at Ralph, who was Joseph. And she made the Wise Men keep their distance. **** Children tend to take the Virgin Birth literally. Some have little grasp of conception yet. Others are fully aware of what is involved. Most giggle when words like “womb” are used. It is also a fact that being born “out of wedlock” is not quite the big deal today it was when Gabriel visited Mary. The simplest way to talk about it (if it comes up) is to refer to the phrase “Jesus was born of woman as is every child, yet born of God’s power as was no other child” (from “A Declaration of Faith” of the old Presbyterian Church in the United States). **** All this leads me to wonder what Mary’s t shirt might have said. It might be fun to play with the possibilities during the sermon and challenge worshipers to imagine, even design, t shirts for Mary to wear as she sings her joyful song. a project of the Vanderbilt Divinity Library, Nashville, TN. http://diglib.library.vanderbilt.edu/act-imagelink.pl?RC=46125 [retrieved June 21, 2012]. **** With a lot of family gatherings in the offing, this story says that when Mary was hit by something overwhelming she went to talk with good ol’ Cousin Elizabeth. Just as God sent Moses out with his brother Aaron and sister Miriam, God teams up Mary and Elizabeth so each has an important family member with whom to share her task. I suspect that Gabriel mentioned Elizabeth to Mary as much because he knew Mary liked and respected her as because she was pregnant too. They were old family friends. Later Elizabeth’s son John would pass his ministry on to his cousin, Mary’s son Jesus. And, I’d bet that was easier because those boys probably spent some of their childhood playing and talking together. Brainstorm with children who in their families they would run to if they needed to talk about something God wants them to do. Point out how wonderful it is when families that share faith and work together to do God’s work. **** To suggest to children that they like Mary are capable of doing amazing things for God tell stories of other brave, outspoken young people. 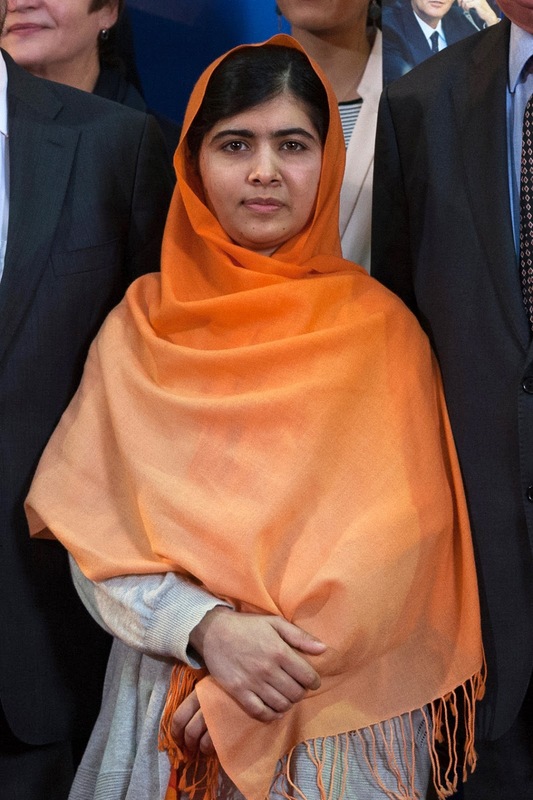 Malala Yousafzai who is the youngest person to win Nobel Peace Prize started a blog crusading for education for all children, especially girls, in her country of Pakistan. Even when men tried to kill her, she (like Mary who had to run into the night with Jesus to escape Herod) did not stop. Closer to home there are often stories in the papers this time of year of teenagers who spearhead food drives or gather gifts for children in need. Retell stories about teenage girls working together on mission projects to give them a new vision of their work. **** Two hymns tell the annunciation story. Read the story from the Bible first after alerting people to listen to this story because we are going to sing it after we hear it. 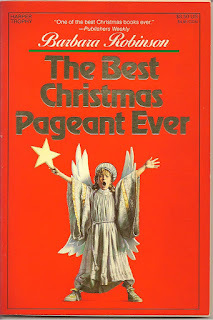 “The Angel Gabriel from Heaven Came” is shorter and includes a chorus which can be introduced and rehearsed for the sake of young readers before the congregation sings it. “”To a Maid Engaged to Joseph” is longer and therefore offers more details. in the space at the bottom of the page. **** “Here I Am” is usually listed as a confirmation or ordination hymn. But, today it is a perfect response to Mary’s story. Instead of an affirmation of faith following the sermon, invite the congregation to sing the hymn as a way of stating their intent to respond to God at work in the world as Mary did. It can be sung in unison or responsively with the choir or a soloist singing God’s verses and the congregation responding with the “Here I am” choruses. 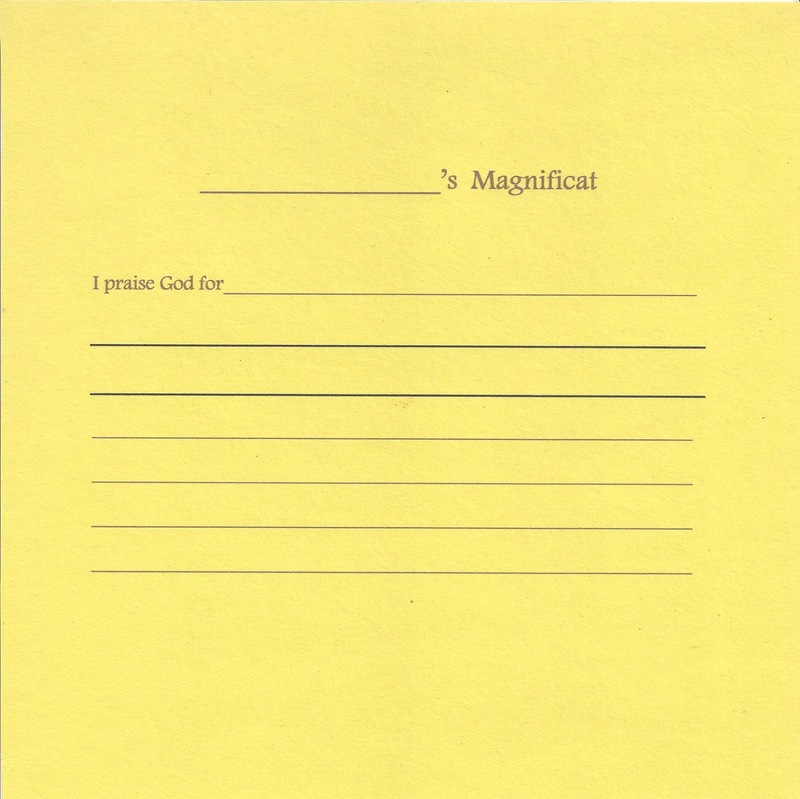 **** Point out that Magnificat is Latin for “I praise God for.” Read the poem and identify what Mary praised God for. Then, give children a worship worksheet on which to create their own “I praise God for” poem or prayer. **** Scholars say that in her song Mary is describing God by telling us what God does. So, read through Mary’s song stopping as you go to identify what God does. Conclude that if God is like that, we do have reason to rejoice. I’d use the CEV to do this since in uses the most child friendly verbs. and I am glad because of God my Savior. God cares for me, his humble servant. to everyone who worships him. to scatter those who are proud. and is always merciful to his people. to Abraham and his family forever!